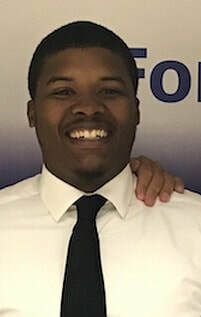 Malcom Wright - STEER FOR STUDENT ATHLETES INC.
Malcolm Wright son to Todd and Linda Wright is one of three siblings, Malcolm was born and raised in Yonkers, New York. Malcolm attended all Yonkers Public Schools from K-12. Malcolm attended Charles E. Gorton High School in Yonkers and played Football and Baseball for the high school and travel AAU basketball outside of school. Malcolm has been involved in sports since the age of four and realizes how important sports can be to children and how much they can make a difference in one’s life. Malcolm attended several different colleges after high school including Westchester Community College, Wells College, and Mercy College. Finally Malcolm attended SUNY Cortland where he received a Bachelor of Science degree in Physical Education and will complete his Master’s Degree in December 2017 from CUNY Lehman studying Health Education. Malcolm did not play sports in college because he had to become a Resident Assistant (RA) so that he can stay in college. After graduating Malcolm worked for a year at the Amani Public Charter School in Mount Vernon, New York. Malcolm currently is a teacher now with the Port Chester School District teaching Physical Education at all the elementary schools in Portchester. Malcolm is a firm believer in the vision of the Steer program and is willing and ready to help change lives for the better.